The Global Distributors Collective (GDC) launched in November 2018 and has grown rapidly to 115 members, many of whom are listed on our website. This blog highlights some of the characteristics of the GDC’s membership, before shining a spotlight on WETECH, a typical member based in Malawi. We define last mile distributors (LMDs) as companies or non-profits which sell products that contribute to the Sustainable Development Goals, to underserved customers. Customers may be underserved because of low incomes – the World Bank describes the ‘Bottom of the Pyramid’ as anyone earning less than $8.44 per day – or because they are remote, discriminated against or marginalised. Broad geographical coverage and proven sales track record: Members have a presence in 43 countries, with representation highest in Kenya, Uganda and Nigeria. Cumulatively they have sold over 8 million life-changing products. Young companies: 23% of members started in the last two years, 53% in the last 5 years and 92% in the last 10 years. 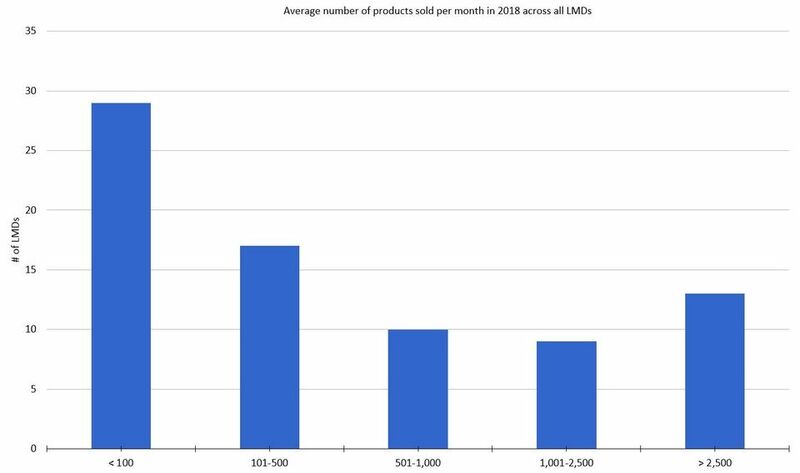 Low revenues: 43% have revenue below $100k, whilst 35% are between $100 and $500k. Only 6% are above $2 million and none are over $5 million. Multiple product categories: 71% sell more than one type of product, and 41% sell four or more types of products. Mixed distribution models: 32% use a sales agent model, 7% sell through retail (i.e. shop networks), and 48% use a blend of the two. The GDC will publish a State of the Sector report later this year, which will include more data on our membership. The report will also examine member customer profiles, map the sector and explore key trends, as well as identify barriers to growth and how these might best be overcome. To bring the GDC membership to life, we interviewed Waste and Energy Technologies Limited (WETECH) CEO, Edgar Bayani. WETECH’s mission is to be a reliable provider of green technologies, to overcome energy poverty and waste management challenges in Malawi and beyond. It launched last year, and secured start-up grant funding from one of GDC’s partners D-Prize. It sells quality-verified solar lighting products from three suppliers: the SunnyMoney SM100, Greenlight Planet SunKing range (Pico, Boom and Home60), and Omnivoltaic Pilot X. It offers consumer financing through PAYGO, and up to two years warranty on all products. WETECH has a range of partnerships. 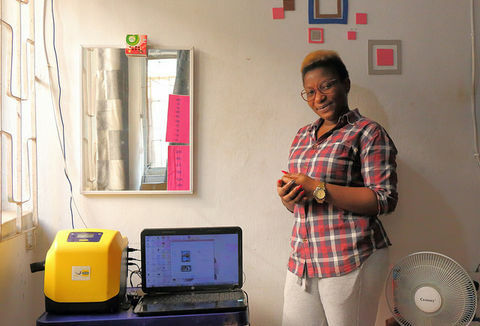 WETECH is too small to import directly from manufacturers, so they partner with SolarAid on procurement and warehousing. 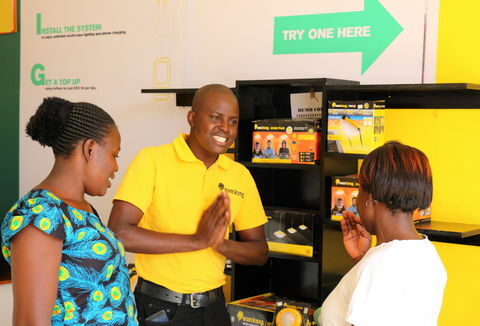 SolarAid provides mentoring on marketing, distribution and after-sales service, and has supported WETECH with entry into new markets, particularly schools. WETECH also partners with TOTAL, who provide a line of credit on stock enabling them to better manage their inventory. Local NGO MAEVE works with WETECH to conduct awareness campaigns to promote quality and generate demand. Mr Bayani’s view was that “Partnerships are critical to growth as they help us spread risk and minimize costs while penetrating the market. It is through partnerships that we are able to reach more customers as well as procure products”. Competition from poor-quality solar products: “Malawi attracts counterfeit products that are sold at very low prices compared to genuine products. Our sensitisation campaigns with MAEVE help to educate consumers, but more needs to be done by the government to enforce product quality”. Procurement. Malawi is a landlocked country so importing is a challenge, exacerbated by a lack of working capital. “To take advantage of economies of scale, one needs huge capital to import good quantities of solar products. But until recently interest rates in banks hovered at between 30-45% rendering capital mobilisation a challenge”. Last-Mile Logistics: Most Malawians live in rural villages and access by public transport is difficult, especially during the rainy season. “WETECH has one vehicle which enables longer-distance travel but we need additional infrastructure (motor cycles and off-road vehicles) to bring products closer to customers”. At Ashden we are delighted that Emma is on our Board of Trustees, find out more about our team.